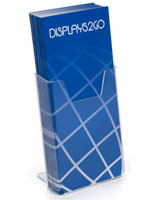 This acrylic wall/counter leaflet display is a clear plastic office accessory designed to hold 4" x 9" trifolds or pamphlets for public distribution. 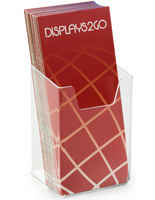 The versatile design allows each information or literature rack to be used on countertops or wall mounted as needed. 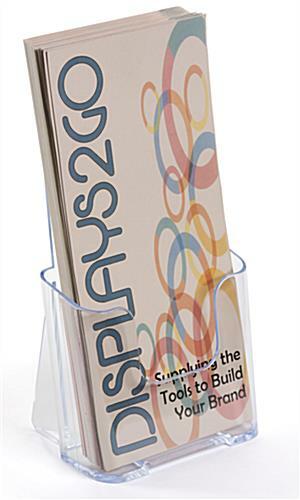 Each molded plastic wall/counter leaflet display is ideal for use in office, retail, restaurant or school environments and makes a great trade show accessory. 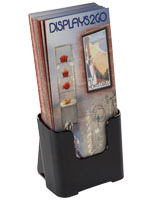 The easy to use design features a keyhole style mount in the back. 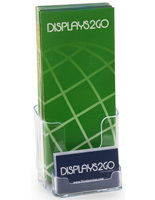 Each tabletop leaflet display for public distribution of information or marketing materials is lightweight but sturdy. 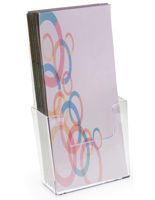 This versatile information holder is an economical alternative to fixed-mount fixtures and can be moved from place to place with ease. 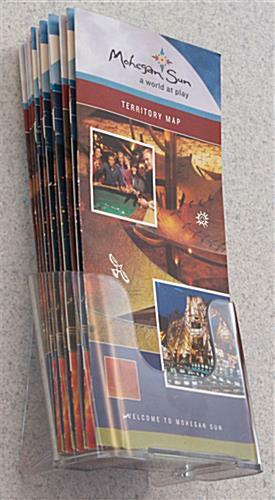 4.4" x 7.8" x 3.1"
4.3" x 1.5" x 1.6"
I have been looking for several years for brochure holders that I could afford as a small business!!! Thank you! I have finally found my supplier and they arrived in a matter of days! 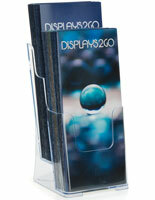 I look forward to doing more business with Displays2go. 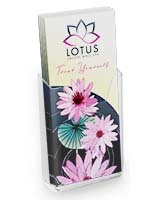 This is the second order I have received from you...the first order came (30) and my clients liked it so well, they ended up purchasing all of them. 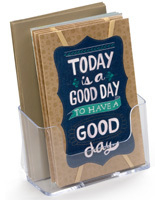 This second order has had positive feedback from other clients as well! 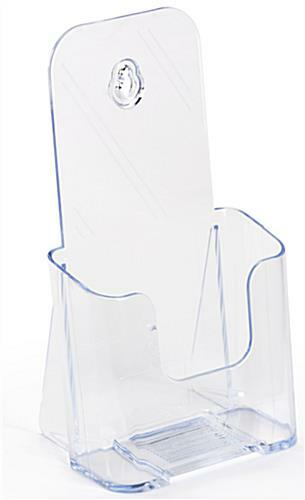 Thank you for a quality Product!